James Challman was welcomed to GVCSS as the new Chief Executive Officer in July 2016 following the retirement announcement of GVCSS founder and long term CEO Ron McLeod. An experienced executive, James' professional background includes leadership roles with various community organizations in Alberta and British Columbia. His extensive experience covers service responsibility for a broad demographic including those with developmental disabilities, brain injuries, seniors, immigrants, youth and families. With his results oriented approach, he has successfully orchestrated service quality improvements, organizational growth and fundraising strategies. His most recent Executive Management roles include CEO of Blue Heron Support Services in Barrhead, Alberta and CEO of Chilliwack Community Services. James has a Master of Arts in Leadership from Royal Roads University, a bachelor of Science from the University of Alberta, and Master Level Certificate in Non-violent Crisis Intervention. His commitment to community is demonstrated by his extensive volunteer background as a Board member with various sports, arts and community organizations in BC and Alberta. He served as a Board member with the Federation of Social Services of BC (FCSSBC) from 2013 to 2016. 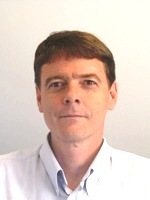 Sam Davison joined GVCSS as Chief Financial Officer in May 2012. As CFO, Sam is a key member of the GVCSS leadership team and is responsible for directing and controlling the Society’s financial operations. Sam has close to twenty years experience as a senior financial manager, primarily in the high tech industry, and has also worked as an audit manager with Ernst & Young. Sam is a Chartered Accountant and holds a Bachelor of Business Administration from Simon Fraser University. In addition to his work experience, Sam served as a volunteer board member and Treasurer for another Community Living agency for more than twenty years. The Director of Home Care is responsible for managing the overall operation of the Nursing Resource Team and Home Support program in keeping with the goals, policies and standards of GVCSS. Responsibilities include policy recommendation, personnel, and fiscal management and continuous quality improvement. Before joining GVCSS, Maria was the Director of Clinical Practice for Saint Elizabeth Health Services (SEHS) previously known as Community Home Support Services Association (CHSSA). Maria spent 20 years fulfilling clinical and teaching roles at CHSSA/SEHS. Working as a director during her last 3 years with CHSSA/SEHS, Maria managed the Community Health Worker Certificate Program, achieving PCTIA accreditation status. She worked in partnership with Vancouver Coastal Health Authority, developing tracheostomy and ventilator care guidelines for CHWs. Maria worked as a direct care RN at St. Michael’s Hospice for 5 years, taught the Residential Care Assistant Program at Pacific Coast Community College for 4 years, and had a private practice as a Certified Foot Care Nurse for 10 years. Maria holds a Bachelor of Science in Nursing, a Certificate in Foot Care for Elderly, a Certificate in Managing Tracheostomy and Ventilator Dependent Clients, and passed the Provincial Instructor Diploma Program –Course 1. Karen Foster is the Human Resources Director for Greater Vancouver Community Services Society. She has been with the Human Resources Department since 2004. Prior to working for the Society Karen held Human Resources positions for other public sector employers as well as in the municipal government environment. She holds a Bachelor of Arts in Psychology from UBC, an Honours Diploma in Human Resources Management, as well as a Certificate in Leadership from the Federation of Community Social Services. In addition, Karen holds Certified Professional in Human Resources (CPHR) and Society for Human Resource Management Senior Certified Professional (SHRM-SCP) designations. Melanie has been part of the GVCSS team since 1992. Beginning as a Community Living worker, she has held progressively senior roles with the agency, as a program supervisor, program coordinator, acting director and now director of the Community Living program, overseeing the agency’s six group homes which provide specialized care and supervision for individuals with profound physical and developmental disabilities. Her close relationship with her nephew who lives with a developmental delay, cerebral palsy, has offered Melanie personal experience in the needs and experiences of families. Melanie holds a Bachelor of Criminology degree, and certificates in Leadership, Management for Residential Settings, Developmental Disabilities Mental Health, and Sign Language (level two.) Melanie has previously worked as a lifeguard and swim teacher. 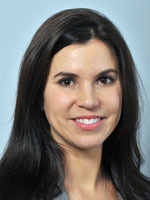 Prior to being named Systems Director in August of 2018, Isabel Sum joined the GVCSS management team in May 2011 as Director of Home Support Operations. The Systems Director is responsible for analyzing, evaluating and recommending systems supporting the services of GVCSS. The director reports on service contract operations in keeping with the goals of GVCSS, policies and standards, as well as quality improvement requirements. 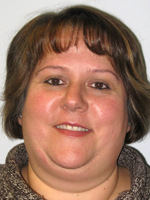 Isabel has worked in the home support industry since 1998 and at a management level since 2003. When her previous company, Community Home Support Services Association, merged with a national company however, Isabel wanted to work for a local community agency and therefore looked to joining GVCSS. 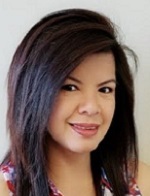 Isabel holds a Bachelor of Arts Degree in Psychology and a Masters Degree in Counseling.